She gained her BA Degree in Economics from Istanbul University in 1995 and MA Degree in International Relations from Istanbul Bilgi University in 2005 writing her thesis on civic peace and conflict resolution efforts. Currently, she attends the PhD program on Political Science at İstanbul Bilgi University. She has worked for a number of national and international projects in the field of human rights, nature/environment preservation and education as an expert and trainer. She translated Council of Europe’s "Compass: A Manual on Human Rights Education with Young People" into Turkish. 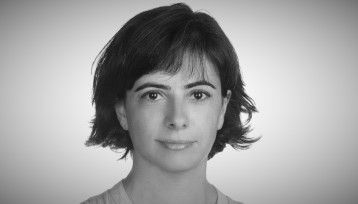 Since 2006 she has been working at the Human Rights Law Research Center of Istanbul Bilgi University. She took part in projects and research studies on racism and xenophobia, restorative justice and mediation, prohibition of discrimination, gender and violence against women implemented by the Center. She coordinated the project “Combating Discrimination in Turkey through Documenting and Reporting”. She edited the book with the title "Women’s Rights: International Law and Practice". She co-edited the books "Restorative Justice, Victim-Offender Mediation and Mediation Practices: Turkey and Europe", "Restorative Justice, Victim-Offender Mediation and Mediation in Criminal Cases: Training Material", "Prohibition of Discrimination: Concept, Law, Monitoring and Documenting" and "Training Manual on Prohibition of Discrimination". Research interests: prohibition of discrimination, equality, social exclusion, conflict resolution, restorative justice, gender, violence against women, human rights education, civil society and project management.